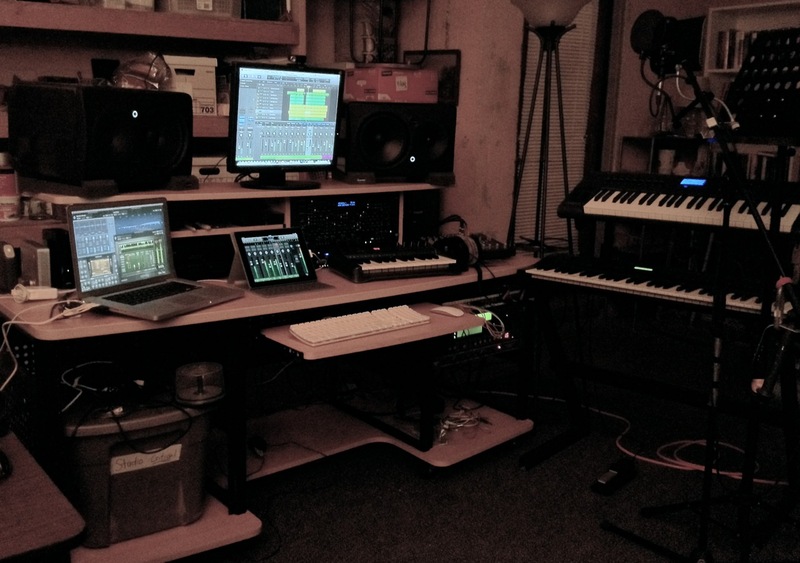 It has been a long journey, but the studio is once again fully armed and operational. The Onyx mixer is still in need of repair, so the trusty (and possibly crusty) old Mackie VLZ mixer is on the desk. I’ve got everything routed through the Saffire now, so the mixer is really just a volume knob (which the Saffire also has), so I’m wondering if I ever still need one, especially with Logic Remote.